The Guardians of the Galaxy has a heartbreaking but ultimately uplifting ending. And of course, there are other ways it could have gone. 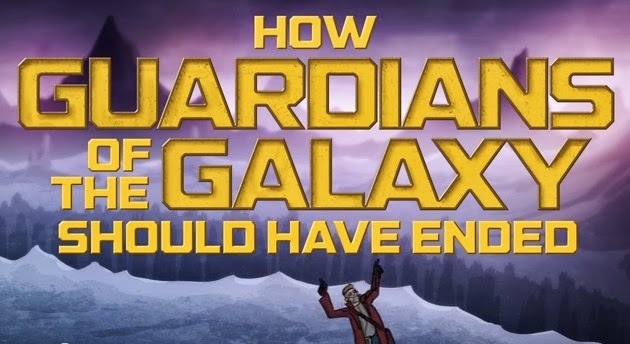 How It Should Have Ended has returned with their take on Guardians, as well as a few other bits of the film. With a special guest at the end who's also obsessed with saying "I am..."
Hahahaha at the "I Am"-Off. My husband does the Batman thing all the time. Now my kids just roll their eyes. Funny video! Sing a lot about butts now - funny! Lol. It's interesting what fans come up with.